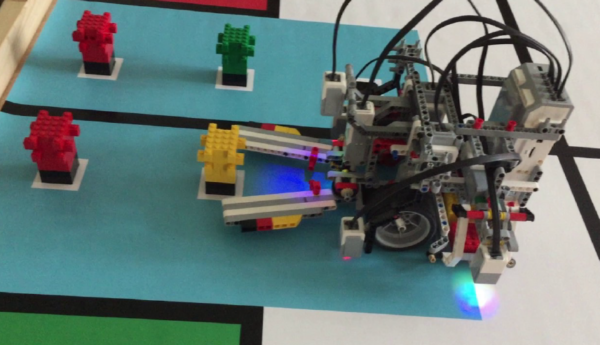 Teams have to build a Bot using Ev3 Mindstorms that can complete the process of manufacturing a car in a production company. Best of Three 2 minute robot runs. Any individual can participate with their team. Number of participants in a team can be minimum 1 and maximum 5. 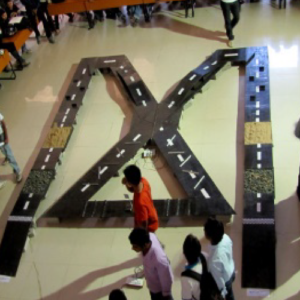 There can be multiple teams from school consisting of minimum 1 and maximum 5 participants. Teams has to make their own robot and they cannot use other team’s robot. Team can have a coach from the school or outside as a technical advisor, but it is not mandatory to have a coach. Only one coach in the team allowed as a technical mentor. The coach will be seated in a supervisory position around the competition area. The coach not allowed touching or repairing the robot during the competition. The coach should not be involved in the programming of the robot. 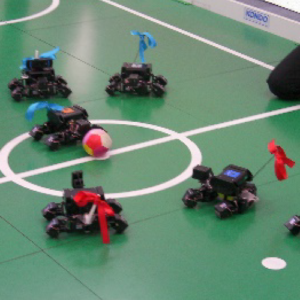 In case of the coach interference with the robot or referee decisions during the competition, the team will risk disqualified. It is expecting that the aim of all teams is to play a fair and clean game. Robots that cause deliberate interference with other robots or damage to the field will been disqualified. 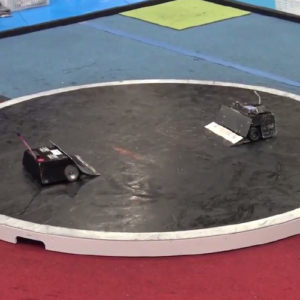 Participants that cause deliberate interference with robots or damage to the field will been disqualified. Participants who misbehave may asked to leave the competition area and risk been disqualified from the competition. Bring two pre-constructed, autonomous or manual, wired/wireless Striker BOTS. Bring one pre-constructed, autonomous or manual, wired/wireless robot using any kit such as arduino board, Raspberry pi board or Bluetooth controlled etc. Design a wired or wireless BOT that can can travel through all obstacles and turns of the track using Arduino, autonomous or Bluetooth controlled. © 2018 RoboClub I All rights reserved.